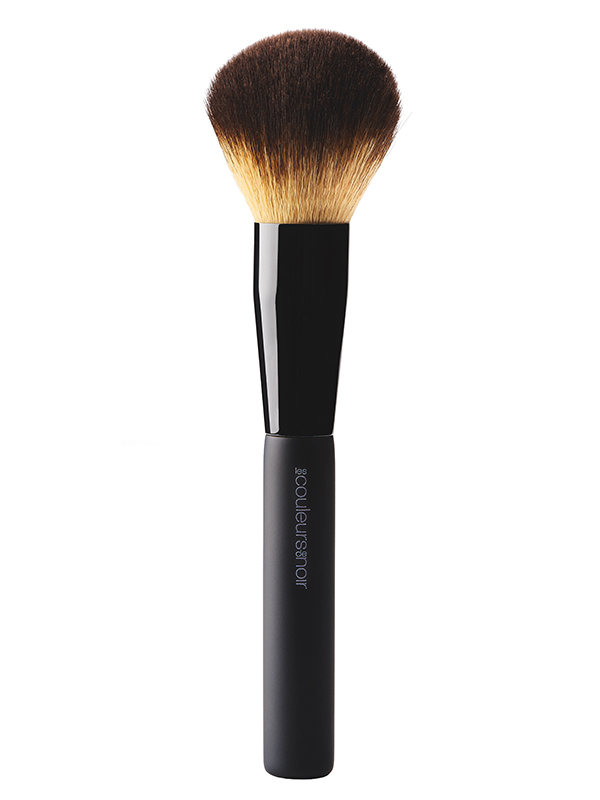 The Pinceau Blush n°4 is suitable for applying powder and cream blushes. It consists of innovative hairs, which feel soft and ﬂexible. The synthetic hairs have the perfect consistency to absorb the right amount of product. 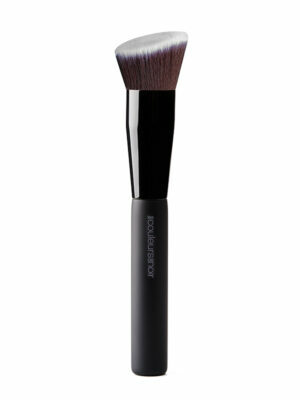 Due the slanted blush head ﬂows the brush in only one movement and in softness over the cheeks. The result is a smooth glue on the cheeks. 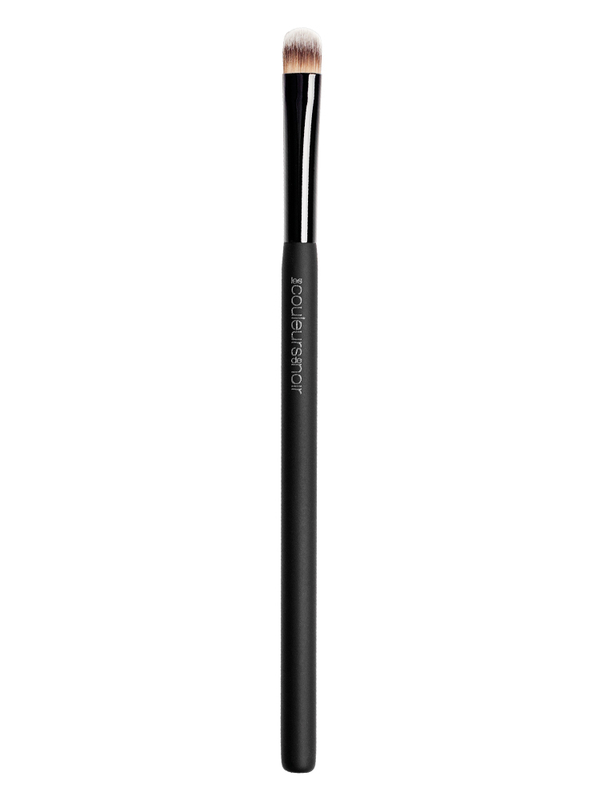 Les Couleurs de Noir works together with an Italian designer who produces brushes according to traditional techniques. 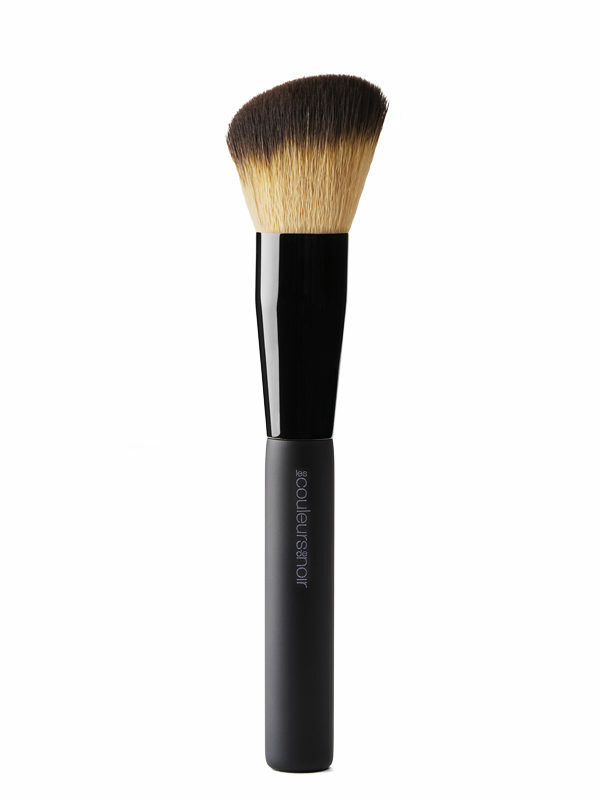 The brushes are handmade and quality controlled. We resolutely choose for synthetic hair of the highest quality as these are extremely suitable for the most sensitive skin. The hairs not only feel softer, they are also more hygienic, have a longer life span and are animal- friendly.